One of the economy’s leading indicators as a barometer of production and consumption, the packaging sector should once again confirm its growth in 2016. The trade show ALL4PACK Paris, The global marketplace for Packaging, Processing, Printing & Handling, opens to its professional visitors at Paris-Nord Villepinte today Monday. Running for four days until 17 November, it is the largest platform for innovation, information and business for the 95,000 trade professionals expected from all over the world. The 2016 edition opens on a promising backdrop, with an industry benefitting from solid growth both in France and abroad. ALL4PACK Paris now covers four complementary sectors of activity: packaging and processing, printing and handling. The market has taken on the form of a global “packaging” production chain, from raw materials to intralogistics and order dispatch. 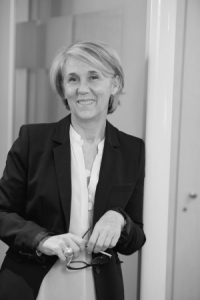 “The sector offers a close reflection of the economy and has also been affected by substantial regulatory changes, but it has shown a remarkable ability to bounce back and display its agility,” agrees Véronique Sestrières, Exhibition Director at ALL4PACK Paris. The packaging industry is worth almost 20 billion euros in France (a market size equivalent to that of the pharmaceutical industry), more than 100 billion euros in Europe, and 812 billion US dollars worldwide. « L’explosion du e-commerce, la digitalisation croissante des échanges, l’arrivée des emballages intelligents, font évoluer considérablement l’offre du salon. De nouvelles solutions arrivent, en provenance des startups mais aussi des grands acteurs industriels. Le secteur entier, depuis l’amont (conception de l’emballage) jusqu’en aval (systèmes intralogistiques), montre un beau dynamisme. Avec sa puissance de décryptage et d’analyse, sa capacité à activer le business et animer toute la communauté des professionnels, ALL4PACK Paris est un rendez-vous majeur pour tous les acteurs du marché », affirme Véronique Sestrières. US$812 billion in 2014 (+4.2% since 2010) - Source: Smithers Pira. US$ 839 billion in 2015. 3,576 billion units in 2015 - Source: Canadean. More than €100 billion - Source: France Emballage. 958 billion units in 2014 – Source: Canadean. €18.122 billion excl. VAT in 2014 (+1.42% compared with 2013) – Source: CLIFE. These figures are provided by trade liaison associations and relate to materials processors. 1,738 companies and 99,300 employees. €35 billion in 2014 – Source: UCIMA. €11.6 billion in 2014 – Source: Eurostat. €670 million in 2014 – Source: Symop. €651 million in 2015 – Source: Symop. In the intralogistics sector (logistics and handling markets), with growth of 6.5% expected in 2016 and 3.7 billion euros of cumulative sales, the French market is in good health. In the first quarter, capital investment increased by 1.6 points (+7% expected this year). As a result, the manufacturers of handling equipment are also seeing their order books filling up. Furthermore, while exports of industrial machinery are slightly down (-1.3%), Germany is still an enthusiastic consumer of French products (+5%). French buyers for their part are displaying their appetite for automated systems (capable of replacing people, either partially or totally, in specific roles). French manufacturers are today banking on new technology and “industry 4.0” to compete with the other countries in Europe. Make a date from 14 to 17 November 2016 at Paris Nord Villepinte! Source: CLIFE, trade liaison association figures relating to materials processors.